Fisher-Price is recalling its Rock ‘N Play product, which has been linked to more than 30 infant deaths. The company is offering a cash refund to customers who have owned the product for six months or less. Those who have owned the product for longer can seek a pro-rated voucher refund from the company. 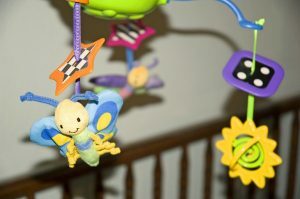 MarketWatch reports the recall could cost Fisher-Price up to $60 million and involves nearly 5 million units. The Rock ‘N Play sleeper is manufactured in China and retails in the United States for between $40 and $149. We can see by the pro-rated refund “voucher” that the company continues to focus on the bottom line, and not on the safety of consumers. Frequently recalls highlight the risk of serious or fatal injuries resulting from dangerous or defective consumer products. But issuing a recall does not relieve a company of the legal liability associated with marketing these products to consumers. Mattel issued the recall after complaints to the company and the Consumer Product Safety Commission that infants could roll over and suffocate. The CPSC reports more than 30 infant deaths have occurred while using the product in the last decade. The company said the recall was voluntary and blamed some of the incidents on incorrect use of the products that were contrary to safety warnings and instructions. Our injury lawyers know neither the “voluntary” recall nor the assertion that the product was used incorrectly will protect the company from legal liability in this case. An experienced injury lawyer will be best able to review a child product injury and determine how best to proceed. Products marketed to children are among the most common products recalled for health or safety violations. Common hazards include choking, strangulation, falls, suffocation and pinch or crush injuries. Currently, the CPSC has nearly 900 children’s products subject to recall. Unlike most types of injury lawsuits, which rely upon an a-fault party’s negligence to pursue damages, proving negligence on the part of a manufacturer is not necessarily required to recover damages resulting from a dangerous or defective product. These cases may also be brought as claims of strict liability or breach of warranty. To prove strict liability, victim must show a product was unreasonably dangerous, that injury resulted from using the product as intended, and that the product is substantially unchanged from how it was marketed or sold. A breach of warranty claim may involve a warranty that is either expressed or implied. An expressed warranty typically means a written warranty of the type with which we are all familiar. An implied warranty, means a purchased product will work as intended, regardless of whether a written warranty is provided. Regardless of the theory of liability, a victim must prove a product was dangerous because of a design defect, manufacturing defect, or marketing defect. In addition to a manufacturer, other companies or entities in the supply chain may also share liability, including marketers, wholesalers, installers and retail sales locations. However, these are complex cases often involving large corporations and their insurance companies. Proving these claims is best left to a law firm with significant experience and the necessary resources to prevail in the negotiating room…or the courtroom.